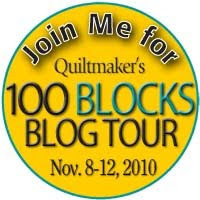 Holly Hill Quilt Designs: OOPS!! OOPS! I have been posting on my retail site for a couple of years now, and when someone comments it posts automatically. DUH - it didn't work that way on my new blog. So if you were looking and wondering what happened - I found out tonight that I have to manually go in and publish each comment. Oh the modern world is sometimes so confusing. But I'm safe and sound in California - but a little pooped out. Got in to Sacramento about 7:30 pm last night and arrived at my sister's house about 8:30. Then of course we decided to work and finally went to bed about 11:30 pm (which of course is 2:30 am my time!). Then 4:30 am came around today and I was wide awake and ready to go. Therefore you can understand why I didn't even take a look at the comments earlier today. I love the name of your company! 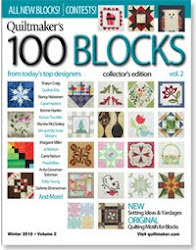 Thanks for the opportunity to win the 100 blocks magazine! That's okay, I think the modern world can be so confusing too! Your patterns are very nice.